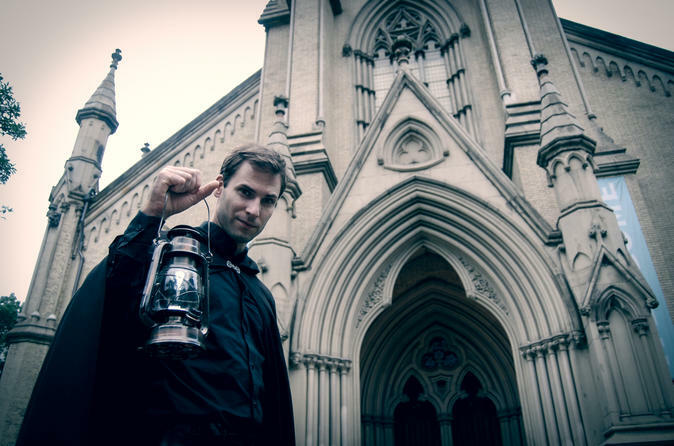 Follow a cloaked and lantern-carrying tour guide on a 90-minute storytelling adventure that will surprise, amaze, and delight even the most skeptical in the group. There is no better way to see the city of Toronto than up close and on foot. Along the way, hear a number of stories, including the haunting of the Hockey Hall of Fame; the strange disappearance of millionaire Ambrose Small; and why Mackenzie House has a reputation for being one of Toronto's most active paranormal sites. Also, discover Toronto's many haunted theaters and learn about the tragic history of the St. Lawrence Market. The tour will end in the vicinity of the starting location where there are plenty of food and beverage options nearby.